KEN YUSZKUS/Staff photo. 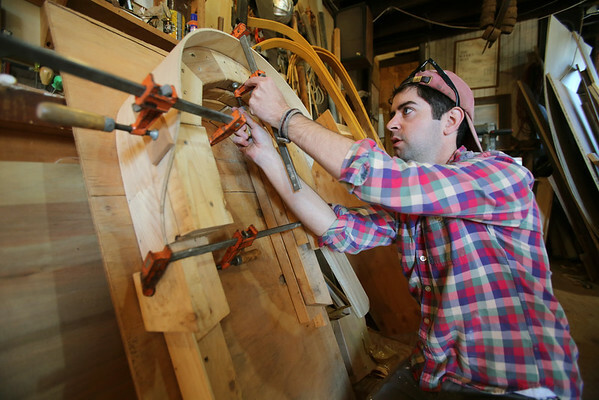 Matt Dooley removes clamps from a form to bend wood used in the process to make a sled. 10/15/15.